So what do you do when you cable, internet are down all morning? You go to the photographs you are trying to catalog to the family members in your family tree. I have been trying to find highlight photographs for each person in my family, present and past, to add a little “fluff” to their stories. Today I found the photographs of my husband’s, Michael D. Butka from 3 Mar 2013 when he visited our son, Michael Butka. 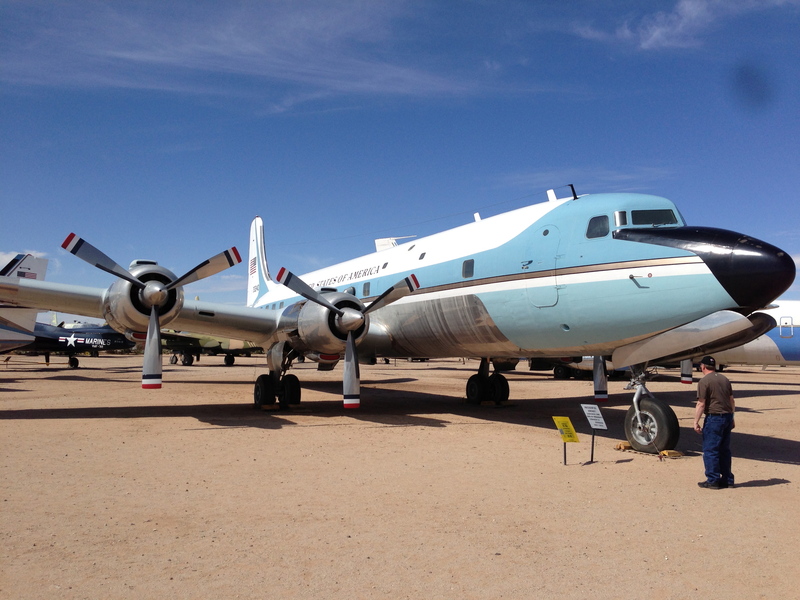 They visited the Pima Air & Space Museum in Tucson, Arizona. John Fitzgerald Kennedy (JFK) and Lyndon Baines Johnson’s Air Force One plane. 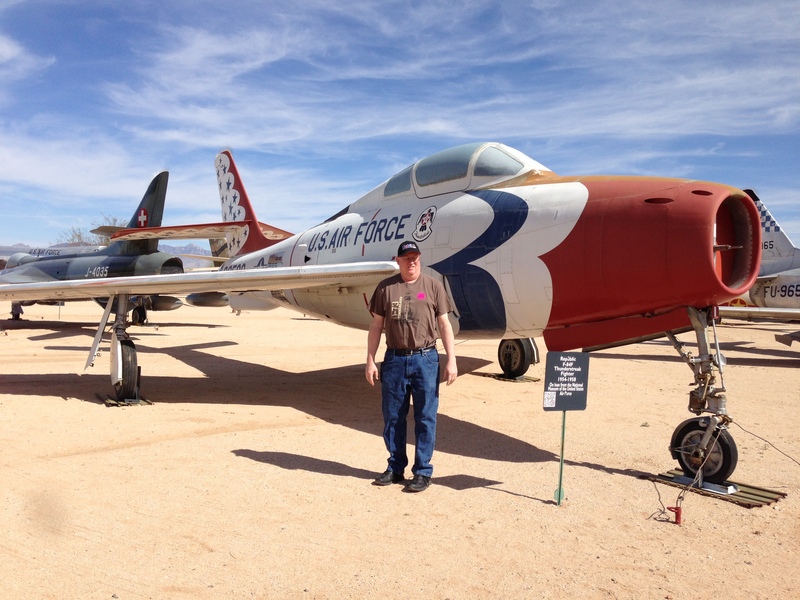 The other photo is of the Republic F-84F Thunderstreak Fighter 1954-1958. Both are on loan from the National Museum of the United States Air Force. This is a tidbit of the story I’m writing for my husband. I think future generations would like to know that my husband’s favorite president was JFK. How would you feel if you were up close and personal to Air Force One of your favorite president? If I’m correct, the other plane is one like the “Blue Angels” fly. We went to see the Blue Angels as children and continued the tradition with our children. Mike will correct me if I’m wrong about it being a “Blue Angel” type plane. Do you have aviators in your family tree? This is a repository you may not have thought about visiting to find a little tidbit about your ancestor. They even offer live streaming Monday through Sunday 7 am-6 PM MST. Next Post Guess who is on Brain Rest precautions, again?